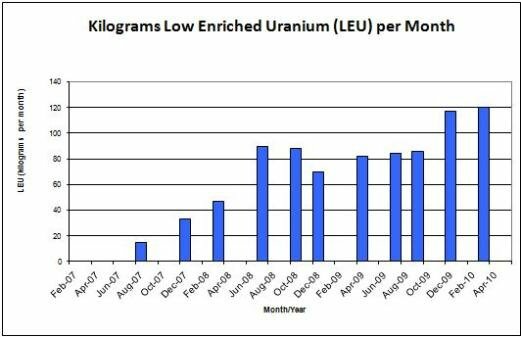 The average monthly production of LEU at the FEP has increased slightly to 120 kg per month (for the last reporting period we noted it was 117 kg of LEU). 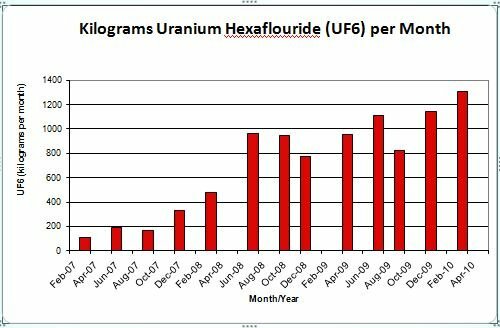 Iran has introduced a total of 27,576 kg of natural uranium hexafluoride (UF6) in the centrifuges at the FEP; the average amount this reporting period is 1,307 kg per month. (See charts below). 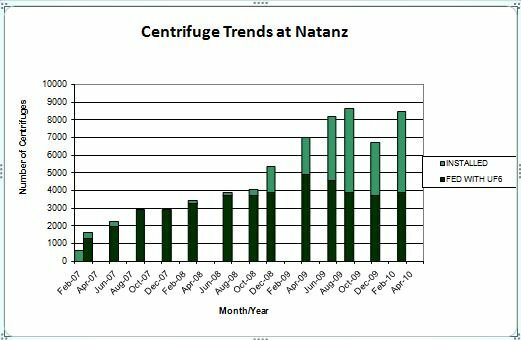 Iran is currently operating 3,936 centrifuges at the FEP; this is up slightly from the 3,772 operating over the previous reporting period. 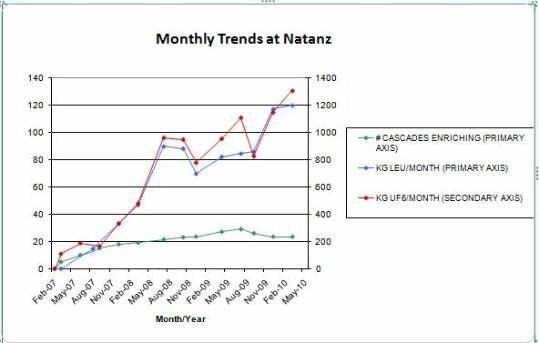 Some 4,492 centrifuges are installed but operating under vacuum (not being fed with UF6) according to this report.